We are already firm fans of the Lascal Buggy Board and used it on our single buggy instead of bothering with an unwieldy double buggy. I found that even though Athena wasn’t two when Arlo arrived with the buggy board, sling and pushchair I could manage every situation, even if they both wanted a nap as one could sleep in the sling! 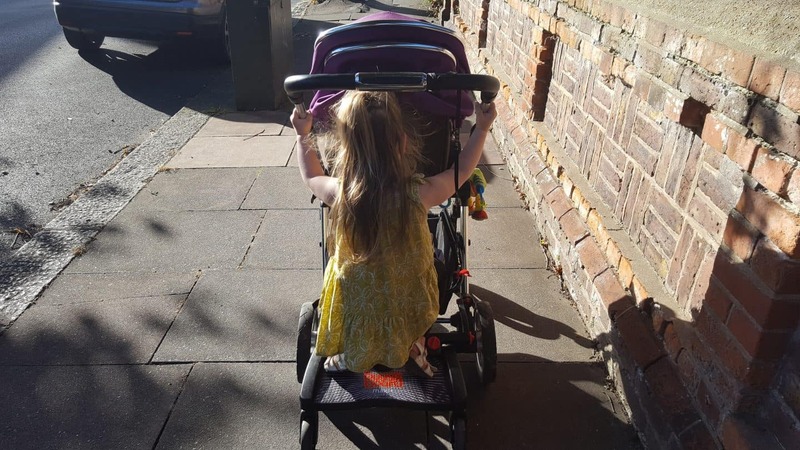 Athena very rarely uses the buggy now as she’s normally scooting, but I can see her getting really tired after a full day at preschool when she starts in September and wanting to go in the buggy! She does sometimes demand to go in when tired even if Arlo is already in it however she is over the maximum weight limit for most pushchairs now and is also really tall so looks a bit squished in there! So the Lascal Maxi buggy board with a seat attached is the ideal solution, especially as we come into colder and probably wetter weather when I’ll want to get home asap without chasing after Athena on her scooter hurtling through all the puddles at top speed! The saddle attachment fits onto the buggy board easily, and is really stable so no worrying about wobbles. 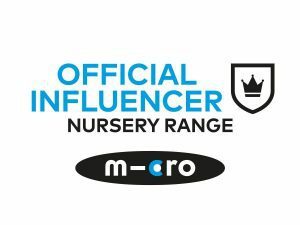 it’s a great solution for people who have taller kids or smaller pushchairs and when they’re stood up its a bit of a squash, as when seated they’re not so high up and won’t be bumping against the back of the buggy or the handlebar. 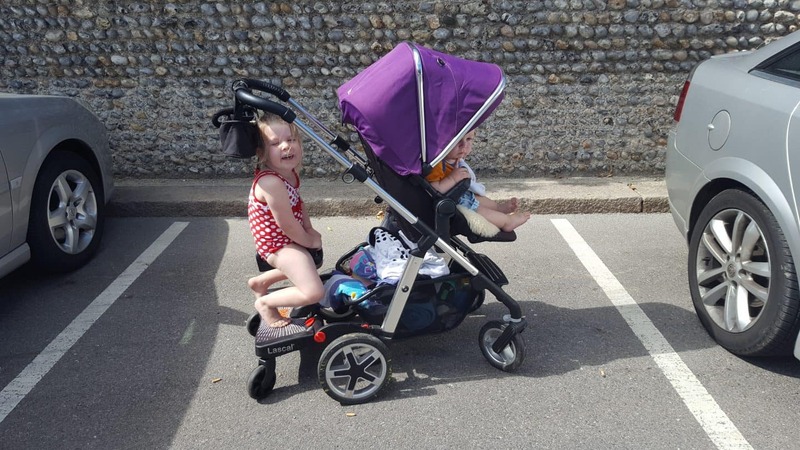 Ideally the child rides facing backwards (ie towards the pusher, not their sibling) but often when Arlo is parent facing in the buggy she loves to face him so she can pester him and tickle his feet basically! It goes up and down kerbs with no problem at all as the wheels have suspension. There is plenty of clearance for my feet as I push too. When Athena prefers to stand the Maxi buggy board has a wide standing area and is non slip, which is a bonus in the wet weather. You can easily unclip the seat and remove it if you want to fold up the buggy board, it should fit in most shopping baskets easily. Since we’ve had it it’s been a great hit, Athena wants to use this over scooting at the moment! The seat is made of a slightly squishy rubberised sort of material so it’s comfy to sit on but still waterproof and able to be wiped clean, and has a little handle at the front and the back. 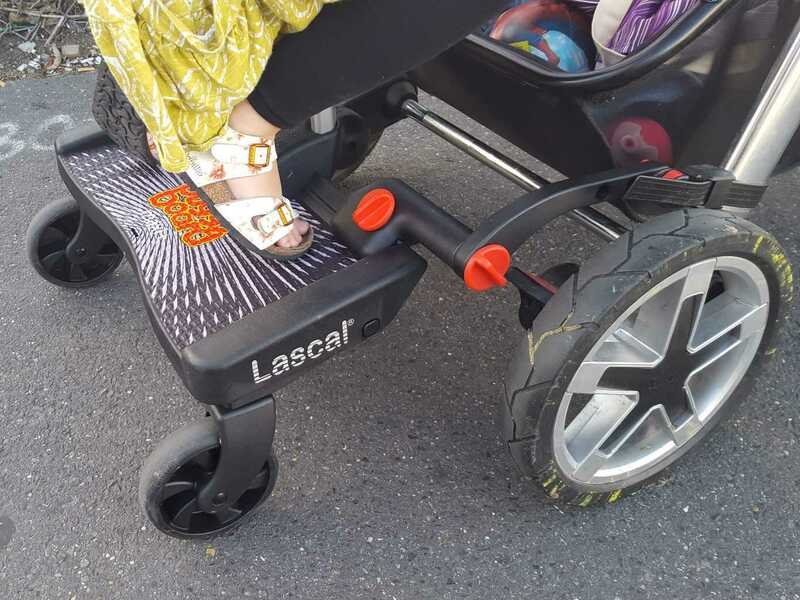 The Lascal Buggy Board can be fixed to any pushchair or buggy and fitting instructions can be found at www.buggyboard.info and you can also swap your buggyboard between pushchairs if you have more than one like we do by purchasing spare connectors. Cheeky Rascals sell the full range, and this Maxi Plus version retails at £99. We were provided with this item for the purpose of this review, all words and opinions are my own.